Illegal logging might appear to be a simple story: A bad guy chopping down trees to make a big profit without obtaining any permission from local authorities or local communities, thus causing great harm to both people and the environment. For most urban dwellers, particularly Westerners, cliché images come to mind of far-away scorched forests and scores of proud indigenous men, women and children, together with magnificent animals, left homeless by this brutal act. And someone, somewhere, living la dolce vita on a hefty bank account hidden away in some fiscal paradise, along with content, corrupt public officials benefitting from bribes that have allowed the transport and trade of this illegal timber. Illegal logging, however, is far more complex than this simple narrative! The tale above might be a popular one, but it is misinformed. Before measures can be taken to curb illegal logging, a lot of preliminary work is needed to further assess the activity’s causes, complex dynamics, impacts and trade-offs. That was the mission behind a new report conducted by a team of more than 40 scientists led by Professor Daniela Kleinschmit. The report was launched at the UN Biodiversity Conference (COP13) in Cancun, Mexico, in December 2016. It was published as a Rapid Response Assessment under the auspices of the International Union of Forest Research Organisations (IUFRO) and the Collaborative Partnership on Forests (CPF). The report sheds light on several layers of complexity surrounding illegal logging, helping us clarify where and when interventions are needed to combat it, as well as to identify cases where preventive cures can be applied. Illegal logging is not a simple straightforward issue; rather it is like a Russian doll containing layers within layers. If we concentrate only on the exterior, we are unlikely to understand what is happening and to make a real difference. Definitions are important. So, let’s peel off the first layer. 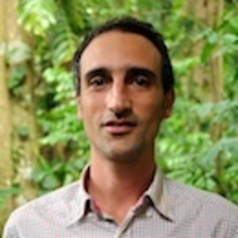 Research has shown that under the banner of illegal logging exist two very different groups of people: those living in and near forests who harvest trees to maintain or improve their livelihoods, and those entering forests without proper permits and authorization to cut and sell valuable timber at a profit. Many interactions exist between these two groups. Often, the latter group buys timber harvested by the former group. ‘Small fish’ vs. ‘big fish’, or need vs. greed, with the latter almost systematically exploiting the former. We can equate the ‘small fish’ to the local populations (traditional farmers, local immigrants, indigenous people). They often have access to small-sized plots, and in some cases, they control collective lands and make use of artisanal tools to harvest trees and to process timber (i.e. axes, hand or chainsaws). Some among these ‘small fish’ may evolve into specialized loggers, but they will be considered ‘informal’ players because their activities are generally invisible to national economies. No matter what we call them, in the vast majority of cases, it is almost impossible for these local forest users to harvest timber legally. This is because the current laws only pertain to a particular model of forest harvesting: industrial, large-scale and resource-intensive logging destined for international timber markets. So, calling these forest users ‘illegal’ loggers would infer that they are willing to break laws when in fact, these laws rarely exist. For this reason, let’s be clear about who should be the target of efforts to curb illegal logging. We must recognize that there are both ‘big fish’ and ‘small fish’ involved. The report urges more research to be done on the networks of illegal logging and the various diverse players involved. If you are someone with decision-making power and you are in a rush, or under pressure to act on illegal logging, at least apply this precautionary principle: make sure you avoid harming the livelihoods of smallholders, artisanal loggers and their families. They aren’t the criminals. They either lack the means to comply with the current, convoluted regulations, or the laws do not apply to their particular form of timber harvesting. We require accurate numbers about the ratios and volumes of illegal logging. Estimates are needed per sector, product, species, region and country, as well as for the whole international timber market. And we need them to be as precise and as detailed as possible, in order to avoid mixing up the ‘big fish’ and ‘small fish’. Many countries now collect primary data about timber harvesting, processing and exports, but this data is often incomplete, recorded in multiple units (a problem that gets more significant as the types of products increase), and by different ministries. Even when this data exists, it is often hard to access since a thick layer of secrecy generally surrounds it. Because smallholders and artisanal loggers often do not officially exist in the national statistics or, worse, they are considered criminals in the eyes of the law, in most timber-producing countries their activities are simply not recorded. In this way, they remain invisible. But considering local forest users as criminals is an excuse for thousands of public officials, including the police and armed forces, to continue (illegally, of course) to collect millions in bribes from smallholders and artisanal loggers. So now let’s peel off a second layer. There is an uncontested need for better data on the timber that is being produced and exported. Luckily, a few efforts are already underway like the Independent Market Monitoring run by the International Tropical Timber Organization (ITTO). There is also an urgent need for data on timber that is produced and consumed domestically. Limiting information to export markets would greatly hamper our capacity to understand and find solutions for the thousands of smallholders and artisanal loggers supplying timber to domestic markets, which research has shown tend to be even more dynamic than export-destined markets. Many important problems like deforestation and forest degradation, distributional issues linked to timber markets, and associated social effects such as elite capture and corruption, are related to timber harvesting that supplies these two different markets. Both markets are strongly connected, and comprise a mix of both legally and illegally-sourced timber. Although the illegal logging sector is hidden by its very nature, more comprehensive, transparent and interconnected knowledge about the legal logging sector would help shed light on the dark spots that will result from its assessment from production zones to end-markets. After all, logs need to be transported by large trucks, boats and containers (accompanied by hefty financial transactions) before they can become complex consumer products like furniture. Often, the best way to hide illegal logs is in plain sight, among incomplete or altered data on legal timber transactions. 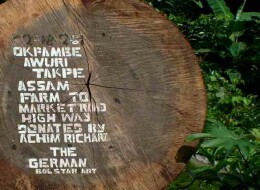 In most countries, notably timber-producing ones, forest crimes are not crimes at all. This means that illegal forest acts (of which illegal logging is just one) are not actually sanctioned under criminal law. This severely hampers national and international efforts to fight this behavior because it greatly limits the tools that law enforcers can use. This will likely constitute our most contentious reflection, and it is the most difficult one to write about. When we conduct research about artisanal loggers, it reveals different ways in which these people conduct their work- something that can be used against them, leading to further criminalisation and loss of jobs and livelihoods. Yet, if the previous layers have diligently been peeled off (including the clarity of objectives and better data), we can unravel one additional layer of the complex illegal logging Russian nesting doll. Why is it so difficult to incorporate illegal logging into criminal law? Based on the findings of the report, two key points come to mind. First, it is high time to break the silos that are usually applied to forest or environmental management in national politics. For unfathomable reasons, there seems to be an unspoken agreement that forests as a policy issue belongs to the ministry in charge of forest and/or environment. No one else has a say in it. And so these ministries feel entitled to take final, and often obscure, decisions on everything including: who has the right to access the land and resources, what constitutes the best land-cover and land-use, technical specifications applied to activities on those lands, payments that can or cannot occur, the monitoring of activities (or, in most cases, lack thereof) and, ultimately, even the sanctioning of activities and the negotiation of sanctions. Only rarely are the ministries best placed to take these decisions consulted or integrated into the decision-making process. Ministries of agriculture, territorial administration, mines, finance and, of course, justice, are rarely part of the “forest game”. This is unfortunate, as they have an important role to play that stretch beyond the current capacities and mandate of forest-related ministries. Secondly, timber is not an edible product. This dramatically alters the behavioural consequences of consumers. Despite the shocking images that NGOs use in their campaigns against illegal logging, buyers along the timber value chain (processing companies, retailers, wholesalers, and final consumers) pay less attention to an illegal piece of wood than they would to food or medicine produced illegally that could have harmful effects on their health. However, if we care about the long-term health of humanity on this planet, we should start asking more questions about origin and production processes when we purchase timber products. Request immediate, clear and transparent responses, or else move onto another shop that can provide them. This will help make life better for both smallholders and those fighting the war against illegal logging. For more information on this topic, please contact Paolo Cerutti at p.cerutti@cgiar.org.